Patients should know about available insurance coverage. It can alleviate any financial burden and may lead to better treatment options. The kind of insurance a patient has often determines the type of treatment available to them. It is important for mesothelioma patients to be aware of their insurance situation to ensure they get the best treatment possible. 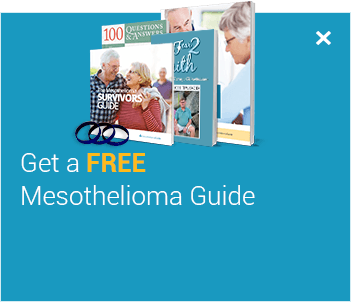 There are private and public insurance options for mesothelioma patients. Private insurance includes employer or individual health care. Public insurance includes Medicare, Medicaid and state insurance pools. Insurance acceptance depends on a number of factors including: current employment, age, location, gender, general health (obesity, smoking, etc.) and family health history. Mesothelioma patients without healthcare at the time of their diagnosis can get coverage in 2014. This is because the Affordable Care Act requires insurance companies to provide coverage regardless of preexisting conditions. Health insurance is first categorized as public or private. Public insurance includes any insurance received from the government, such as Medicare or Medicaid. Public insurance is meant to offset hardships that make paying for private insurance impossible. 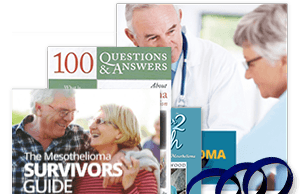 There are public insurance benefits available to many patients with mesothelioma. Health insurance is subsequently categorized as group or individual. Group plans are mostly applicable to insurance gained through employment. These are called group plans because an employer negotiates a single premium with the insurance company that becomes available to all employees on the plan. Individual plans, by comparison, only cover one person. Employer healthcare plans are typically the most desirable because the insurance company does not usually consider an employee’s health status. This is because an employer negotiates a premium with the insurance company on the behalf of all employees under the plan. These two programs are specifically designed to help senior citizens and those who cannot afford healthcare. Since mesothelioma primarily affects older individuals, it is likely that many patients qualify for Medicare benefits. For those who have limited income, Medicaid is available. Visit the Centers for Medicare & Medicaid Services for more information. Insurance pools are another option available to those who cannot get healthcare coverage. These plans help those whose seek coverage after they’ve been diagnosed, which labels them with a preexisting condition. The American Cancer Society offers a list on their website with contact information for these insurance pools by state. Private insurance can provide help paying bills. Unfortunately, most private individual health coverage does not cover treatments or prescriptions associated with cancer. Plans like HMO and PPO plans can limit a patient’s freedom when choosing a specialist or accepting special treatment like clinical trials. Being unable to work or losing a job as a result of being diagnosed with mesothelioma is a major concern for many patients. Fortunately, there are several legal protections for those diagnosed with cancer. The Consolidated Omnibus Reconciliation Act (COBRA) is one of the primary legal protections for those who can no longer work due to a serious illness. Patients with serious medical conditions normally lose their employer healthcare when they are unable to keep their job or are forced to work fewer hours because they are sick. COBRA allows these patients to keep their insurance. Other legal protections for those with serious illnesses include the Americans with Disabilities Act, Family and Medical Leave Act, and the Affordable Care Act. These laws provide patients and family members with protection from unfair treatment in the workplace and make better treatment more accessible. Because the Affordable Care Act is a recent development, more benefits are still scheduled to take effect in the future. Being aware of newly available legal benefits is important to maximizing the financial and insurance assistance patients can claim. 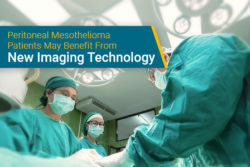 Most people diagnosed with mesothelioma have some form of coverage, but most healthcare plans do not provide full coverage for certain treatments and screenings. 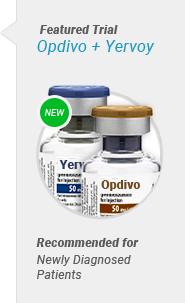 Understanding available options for the patient is important to ensure the best possible treatment is received. Private individual healthcare plans can place limits on access to specialists, so it is important to understand your plan. 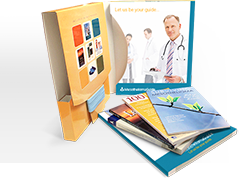 Traditional private healthcare and point of service (POS) plans usually let patients choose their physician. Health maintenance organization (HMO) and preferred provider organization (PPO) plans either choose a physician or limit patients to a network of doctors. Employer healthcare plans offer the most benefits because they do not discriminate based on the status of your health. These plans are popular because the financial risk is divided among fellow employees, keeping costs lower than private plans. While these plans are more secure, patients may still be limited in the choice of a specialist depending on the type of group plan they are on. The Patient Protection and Affordable Care Act (also known as Obamacare) provides insurance coverage options to millions of Americans who are uninsured or unable to be insured currently. The bill is beneficial to mesothelioma patients who are currently uninsured because their illness is considered a pre-existing condition. The law makes it illegal for health insurance companies to turn away anyone with pre-existing conditions like mesothelioma. The introduction of this new policy means people are required to be covered under a private health insurance, employer-based insurance, or a public plan like Medicare or Medicaid. Under the act, insurers are no longer allowed to discontinue coverage for patients that receive dire diagnoses, there are no more annual and lifetime insurance caps, and insurers must provide easy-to-understand information to their consumers. An estimated 20 percent of mesothelioma patients are uninsured. Medical bills for mesothelioma patients have ranged, on average, from $150,000 to $1 million. Uninsured patients pay their medical bills out of pocket or are forced to negotiate with the hospital on their own. Over 30 percent of all mesothelioma patients are U.S. Military veterans. 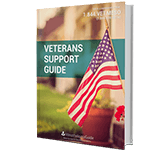 The Veterans Administration Hospital provides healthcare to the veterans. Until the Affordable Healthcare act takes effect in 2014, there are different ways that those who are uninsured can receive compensated treatment. 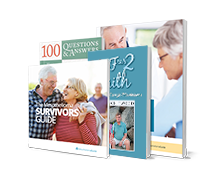 Clinical trials are an option for most mesothelioma patients. Once they qualify for the study, the treatment is sometimes free and many research groups pay for travel and accommodations. There are some complications that may arise from clinical trials, but many patients have been successfully treated because of clinical trials. 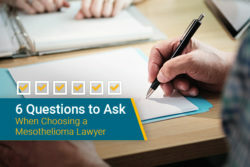 Another option that mesothelioma patients have is to take advantage of legal options and available compensation. There are trust funds set up to help compensate mesothelioma patients who were exposed to asbestos. These trusts have been set up by companies who have knowingly exposed individuals to asbestos products. There is over $30 billion in these funds, all set aside to mesothelioma patients. "The VA has hired two of the best mesothelioma specialists in the country." American Cancer Society. Government-funded health plans. Retrieved from: http://www.cancer.org/treatment/findingandpayingfortreatment/managinginsuranceissues/healthinsuranceandfinancialassistanceforthecancerpatient/health-insurance-and-financial-assistance-gov-funded-health-plans. Accessed: 11/1/18. National Institutes of Health. Economic Impact of Cancer. Retrieved from: http://www.cancer.org/cancer/cancerbasics/economic-impact-of-cancer. Accessed: 11/1/18.